Conqueror’s Blade answers the all important military question: who would win in a battle between Vikings and Samurai? Last time I drew Conqueror’s Blade from its scabbard, I was charging head first into its messy and chaotic 15v15 siege battles. Mud, stone, and blood flew everywhere, and rain pelted down on the battlefield. After three beta phases, however, Booming Games has opened up the gates of its medieval MMO – this time we get to see what lies beyond the high stone walls of the fortress. “Conqueror’s Blade is not just an action game,” My.com head of community Miguel Budesca says. “Its an embodiment of an open medieval world where the players control the violence and chaos that goes on.” It’s a dangerous land outside the city walls – but if you want to lead one of the greatest medieval civilisations, then you have to leave one day. Once outside, the perspective changes from third-person to a top-down tactical view. It turns out my kingdom is surrounded by masses of open land. A thick fog obscures the immediate surrounding area, with the tops of trees and mountains poking through the mist. Zoom out once, and you get a wider perspective. Zoom out again and you’ll see a Civilization-style map of the surrounding borders and states, making your fortress appears like a tiny toy. What is this? A kingdom for ants? You start in what Budesca calls the ‘neutral zone’, safe farmland on the outer perimeter of your kingdom. But to get the experience points and resources needed to expand, you’ll be travelling into bandit infested areas. As you trot around the map with your units close in tow, you’ll see groups of those bandits skulking around. In battle, the perspective switches back to the third-person, and the terrain becomes rocky and uneven – a completely different prospect to the flat plains in the beta sieges that makes maneuvering your soldiers a challenge. Defeating bandits bags you booty and XP, but they are the small fry of these medieval hunting grounds. The world of Conqueror’s Blade is open to everyone and you can battle any other player. 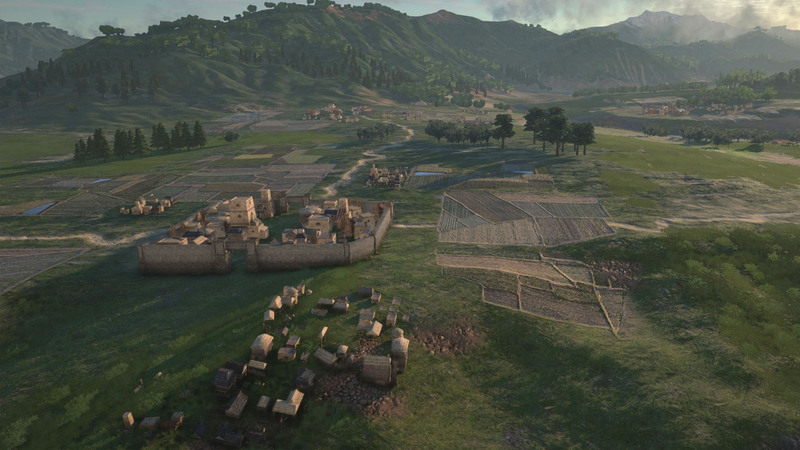 Beside Conqueror’s Blade’s open world live its chaotic 15v15 siege battles. Leading your merry troupe of soldiers into hordes of enemy AI units is its own messy fun, as we found out during the siege beta tests. In fact, other players can just waltz into your territory and cause a ruckus if you’re not there to defend it, or pounce on you if you’re unprepared. “Any combat that takes place in the outside world can be seen by anyone nearby,” Budesca explains. If you see a spat between two players, you can jump right in and join the fisticuffs, taking advantage of the distraction. So if you do plan on a resource outing, make sure your units are leveled up and armed to the teeth. To add to the confusion, Conqueror’s Blade features a variety of different military units from all over the world. Don’t be surprised if your musketeers end up in a brawl with some Polish winged hussars. 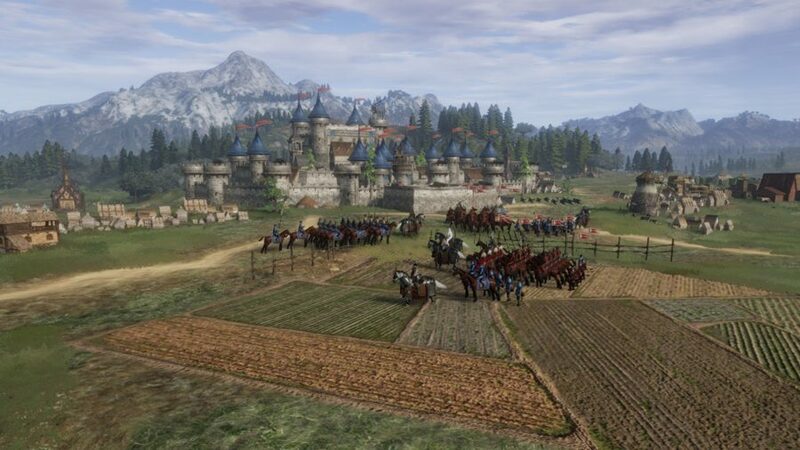 “The devs had a lot of fun bringing all of the cultures of the medieval era together,” Budesca says. “The units that comprise your army can be a mix of anything you want. You can solve the age old riddle: who would win in a fight between a templar knight or samurai?” It might not be a riddle you remember from Alice in Wonderland, but it’s likely to make for a satisfying combat matchup. 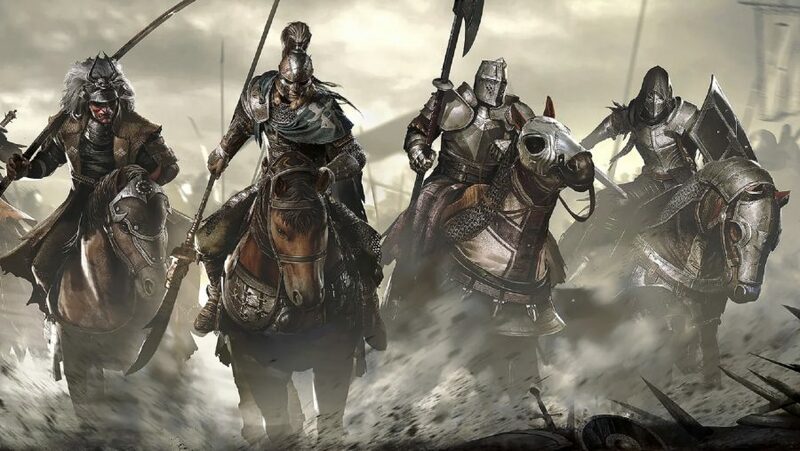 You can choose units from around Western Europe, the Middle East, and Asia – and soon Booming Games is planning on incorporating more cultures, including those mad lads from the north, the Vikings. With bandits and players ready to chase you down and take all your gear you’re going to need some backup, and this is where the game’s house system comes in. You and a group of friends can build your own noble house, helping each other out when attacking and defending against enemies. Better start brainstorming names with your friends now, because Stark, Lannister, and Tyrell will likely go within the first minutes of the beta going live. You can level up your house through missions and resources and take in up to 40 players. And beyond that, you can further solidify your position in the Conqueror’s Blade community via alliances with other houses. 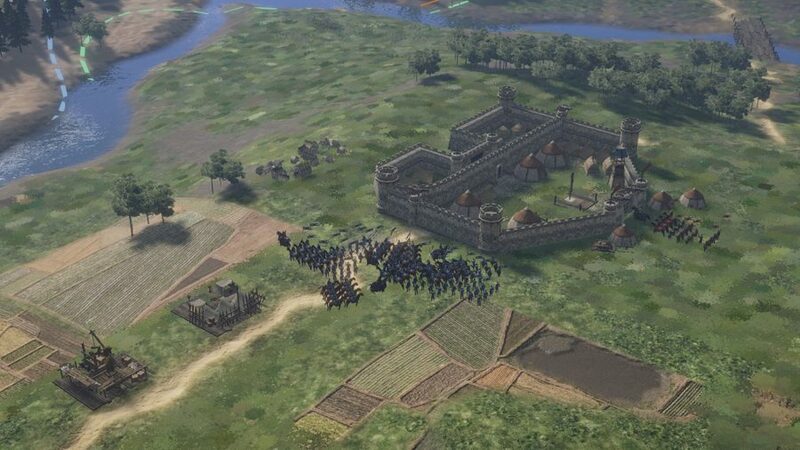 Allied houses can aid each other’s kingdoms against enemies. In the wild, you’re safer in bigger numbers. Conqueror’s Blade promises to not only let you experience the epic, dramatic battles of Game of Thrones, but the wavering loyalties of house politics too. It’s too soon to say whether this medieval world will make MMO history, but I’m looking to seeing what community surprises emerge from the fog to shape the land.